different reasons. 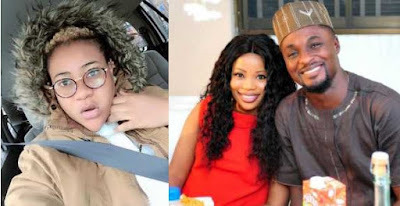 Some days ago, the actress took to her Instagram page to state that another actress, Seyi Edun, had attempted to get her arrested. She stated that when the policemen got to her house, she was already on her way to the airport. However, many people on social media insinuated that Nkechi actually ran away from her house to avoid getting arrested. In a chat with Sunday Scoop, Blessing refuted those claims. She said, “Why would I run away because of Seyi Edun? (That means) she must be the president of Nigeria. I was actually supposed to travel on the 17th but I had to change my flight ticket to December 21 because of a movie I finished shooting on December 20. Should I have changed my ticket because of Seyi? I had left my house for the airport about 15 minutes earlier when I got a call from my mum that some police officers were in my house.